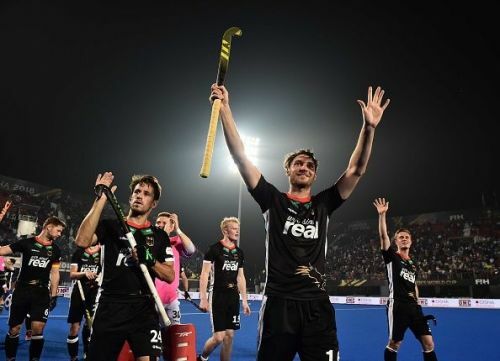 Having hammered Malaysia 7-0 in their opening game at the 2018 Hockey World Cup, Netherlands took on Germany under immense expectations at the Kalinga Stadium. However, what followed was rather anti-climactic as the Dutch completely lost the plot in the final quarter and went down 1-4 to Martin Haner's cohesive troops. Netherlands took the lead in the 13th minute through a rapid strike from Valentin Verga. On half-time, Germany drew level as Mathias Muller finished a stunning penalty corner variation. The third quarter continued to evince riveting hockey and neither team were willing to give an inch. Germany pulled ahead in the final quarter by unleashing relentless attacks. Goals rained in the last eight minutes as Lukas Windfeder and Marco Miltkau got in on the act. Christopher Ruhr converted a penalty corner to seal a memorable triumph. Here are the three standout players from Germany's 4-1 victory against Netherlands in Bhubaneswar. With both teams possessing potent strikers, the focus was on the two goal-keepers. 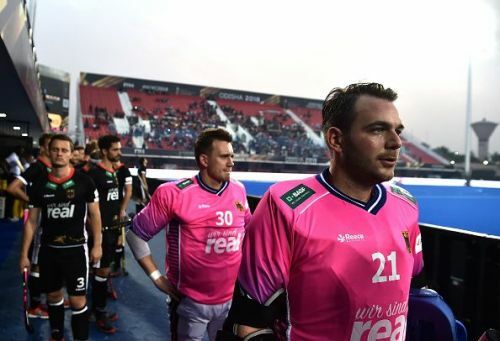 Although Pirmin Blaak did not have a particularly bad game, Tobias Walter's composure under the helmet titled the scales in Germany's favour. During the early stages of the game, Netherlands lived up to their reputation by launching a strong wave of attacks. Skipper Billy Bakker could have put them ahead in the eighth minute itself. But Walter produced a sterling save to deny the Dutch. Although the German keeper was beaten by synchronised passing in the 13th minute, he shrugged it off and produced a strong performance. Six minutes prior to the half-time mark, Walter once again came to his country's rescue even as a slew of Dutch attackers thronged the inner circle. Walter's sharp reflexes came to the fore when he saved back to back penalty corners to thwart Netherlands in the third quarter. His reliable presence under the bar helped Germany enter the final quarter with scores level and consequently build momentum in the last 15 minutes of the match.